Can You Download Movies on Kindle Fire? Q: I got a Fire HD 10 for Christmas. I am going on a trip next week and I can't figure out how to download movies to Kindle Fire Tablet. Please help. With the network or Wi-Fi connection, it allows us to read eBooks on, watch Netflix or YouTube, stream music from Spotify or Amazon Music, or just to browse the web and check the news. But what about loading up your own movies and playing them even when there's no Internet connection to be found? Well, don’t worry, it is a good choice that downloading movie to Kindle Fire and watch it in offline mode. 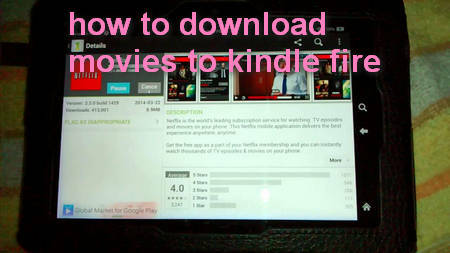 If you don't know how to do this, this article will help you quickly get solutions for downloading movie to Kindle Fire Tablets. Can You Download Netflix Movies on Kindle Fire? If you are already subscribed to Amazon Prime membership and Netflix, you can download movies and TV to your Kindle Fire. For Amazon Prime, open the movie/video detail of your desired Prime title, tap the Download button. But not every Prime title can be downloaded since some movies or shows may not display the Download icon due to various reasons. So, you have to download Prime titles on a case by case basis. For Netflix, login with your Netflix subscriber account, on the menu bar, tap "Available for Download" to find the downloadable movies and episodes. Besides, the time period for viewing of downloaded content may vary by different movies and episodes. If you don't like paid membership, you can also transfer some movies or episodes downloaded from the web to the Kindle Fire for offline playback. With the USB cable, you can connect Kindle Fire to your computer and then copy your favorite movies to your Kindle Fire or microSD card. However, it's worth noting that sometimes you may encounter Kindle Fire won’t play videos. If the downloaded resource formats and parameters are not supported by the Kindle Fire, these videos will fail to play. 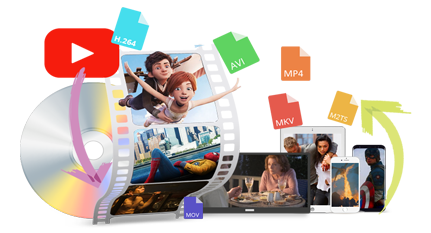 It is also very simple to solve this problem by using a video converter to convert the format to MP4 (H.264/AAC). 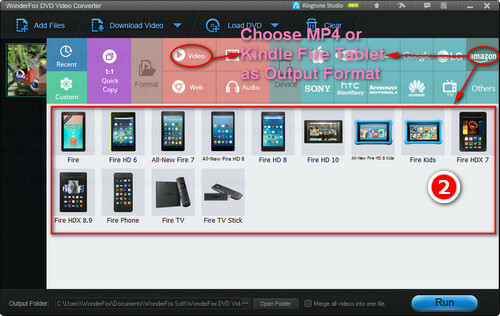 For solving “how to download movies to Kindle Fire” issue easily, WonderFox DVD Video Converter is a tool worth trying. Firstly, it allows you to download movies from YouTube, Tumblr and other video-sharing sites. Then, it allows you to convert any video to MP4, AVI, etc. 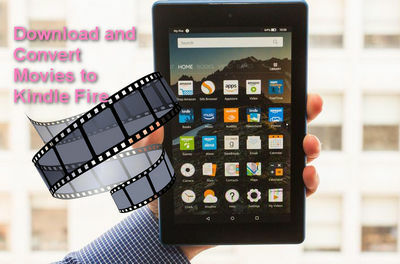 hot video formats or directly convert movies to Kindle Fire Tablet. Just have a try! Free downloadFree download and launch WonderFox DVD Video Converter on your PC. There are two ways to import media sources: (1) Click Add Files icon and select the local video files to import the program. (2) Click Download Video icon and start to download movies from YouTube, Facebook and other sites (You can follow the simple tutorial on the interface to download movies). When the download process is over, the downloaded movies will appear on the interface automatically. When the video is loaded, you need to select an output format on the right section. Click the drop-down triangle button in the Output Format to enter the new window. Then you have two output options: (1) Click MP4 under Video tab. (2) Click your Kindle Fire tablet under Amazon tab. After determining the MP4 or Kindle Fire Tablet as the output format, you can now set the destination path by clicking the “three-points” button at the bottom of the interface. Finally, click the blue Run button in the lower right corner of the interface to complete the conversion. In addition, you can also transfer your purchased DVD movies to the Kindle Fire. WonderFox DVD Video Converter is a full-featured tool. It can download movies from Tumblr, YouTube, Facebook, and more sites. Then, it can convert local or downloaded movie files to MP4, Kindle Fire, etc. Besides, it also allows you to copy DVD movies to Kindle Fire Tablet. Launch WonderFox DVD movie converter on your PC. Now, click on Load DVD to import source file. This software will automatically crack a variety of DVD encryption technology, analysis, and select main movie. Now, click on Output Format section on the right side of the interface. And choose your Fire Tablet under Amazon tab. Now, set the output path of your file on the bottom of the interface and finally, click on blue Run button to finish DVD movie to Fire Tablet conversion. For those who want to download movies directly from YouTube, Facebook, and other video sharing stations to Kindle Fire Tablet, this HD video downloader will be a great assistant, with a few clicks to complete the download and conversion. Download it to have a try!